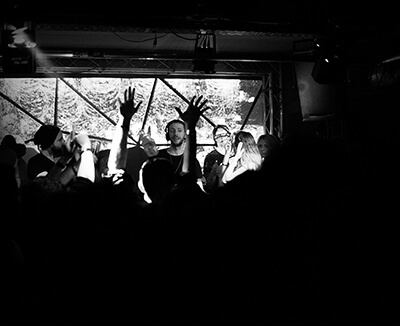 Although Le Dernier‘s house-oriented party regularly takes place at venues and off-locations in nearby cities like Essen, Cologne and Dortmund, Düsseldorf is its home base and place of origin. Since 2012, Baka Gaijin has provided a solid space for house and techno acts by hosting the likes of ItaloJohnson, Ata, Galcher Lustwerk, Tama Sumo, Borrowed Identity and more. Mr. Ties, the star of Baka Gaijin’s April 16 Clubnight collaboration with Telekom Electronic Beats, will fit right into this impressive record. Last year, Fallias expanded the party series into an occasional dinner party as well with the first edition of Baka Gaijin Kitchen, which you can read about here. Düsseldorf’s newest club, Golzheim, is just about to hit its first anniversary. 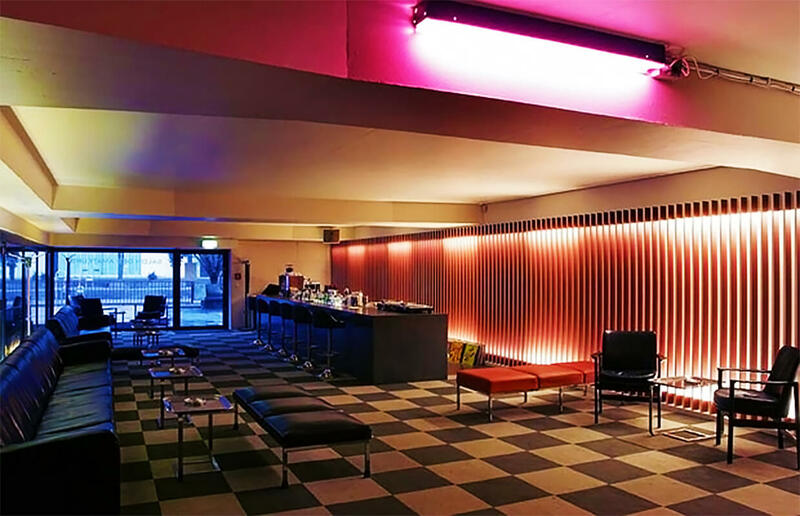 The owner, Daniel Fritschi, has long been a fixture of the local electronic music scene, both as the owner of the long-running Level Records label and Golzheim’s predecessor, the club Foyer Düsseldorf. It took over a year to convert the space beneath the Theodor-Heuss Bridge into a proper venue, and since late April 2016 the hard work paid off. Golzheim now operates every weekend as a nightclub that places a special emphasis on vinyl DJing and underground electronic music. 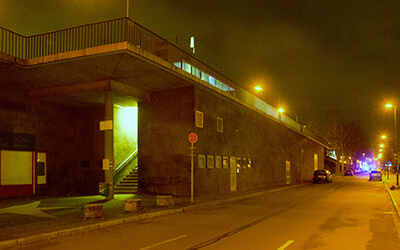 Golzheim also provides space for sounds from beyond the electronic club dance floor, with reggae and dancehall, breakbeat nights, Italo disco parties, underground hip-hop concerts and live acts in numerous different genres. The 244-year-old academy of art in Düsseldorf is mostly renowned for artists like Joseph Beuys, Gerhard Richter and Andreas Gursky, so it may seem like an unlikely place for electronic music. However, it often reflects on a history of experiments in music and local venues that created unique influences, like the 1970s/’80s bar Ratinger Hof and its contemporary disciple, the Salon Des Amateurs. 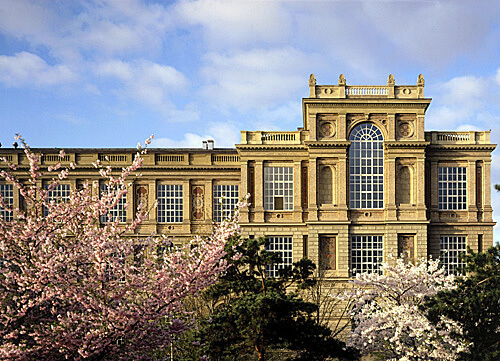 Salon residents like DJs Toulouse Low Trax and Lena Willikens are both alumni of the Kunstakademie. In 2015 Abdulla Rashim, Vakula and Porter Ricks played free gigs in what Resident Advisor described as “a long hall surrounded by Renaissance sculptures.” More experimental concerts and performances have taken place since. There’s lots of great and diverse food in Düsseldorf from around the world. 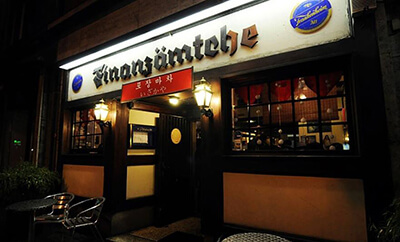 One of our favorite spots of them all is Finanzämtche, a bar and restaurant also known as Pozangmatcha. They attract busy crowds to their cozy bar with delicious Korean cuisine and drinks and a nice ambience, which is partly due to the soju bottles they fashioned as lights. This summer festival has taken over a horse racing arena in the Grafenberg Forest every year since 2006. The 2017 lineup includes Mount Kimbie, Trentmøller, Austra and Gaika, who will all play on July 8. In previous years, house DJs like Theo Parrish have graced its stages as well as more pop- and indie-oriented bands like The Streets, Hot Chip and Metronomy. Local artists also have an opportunity to apply to perform on its Young Talent stage, which further roots Open Source in the Düsseldorf community. In 2016, a group of local DJs founded a new club in a former gay bar in Wuppertal, a nearby city famous for its suspension railway. The 160-capacity space makes for an intimate atmosphere that fosters an all-encompassing musical experiences for dancers. Its bookings so far have included a pretty impressive roster of up-and-coming talents, including former EB contributor Courtesy, lo-fi house wunderkind DJ Boring and Rekids-signed rising star Peggy Gou. 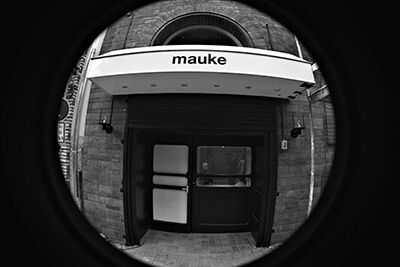 If you’re in Düsseldorf, it’s worth the short train ride to check out Mauke. Düsseldorfers are used to travelling a little ways outside town for a good party like Myuzik, a series that’s still going strong ten years in. Its founder, Pierre Schweda, is a resident at a club called Schlachthof Krefeld, which regularly hosts DJs from various music genres. Schweda’s own party has a more focused vision: previous guests include certified dance floor smashers like Prosumer, Tama Sumo, Fred P and XDB. And last but not least, any guide to worthwhile destinations in Düsseldorf will include its most famous bar—at least in the world of underground electronics. As aforementioned in our writeup of the Kunstakademie, Salon Des Amateurs was founded by former art students including Detlef Weinrich, who’s better known these days as Toulouse Low Trax. The humble bar has built an international reputation for its freaky-deaky take on sludgy disco and music from around the world, which it has started to export via some of its most popular resident DJs, like Lena Willikens, Vladimir Ivkovic and Jan Schulte, the latter of whom has just released a new compilation called Tropical Drums Of Deutschland. Although Salon most recently made headlines for its forced closure in the face of renovations, we’re happy to report that we have word from trusted locals that the beloved dance floor and bar has quietly reopened in the meantime. Telekom Electronic Beats will host a Clubnight with Baka Gaijin featuring Mr. Ties on April 16, 2017. Find more information here.